"How could we know that forever could end at seventeen?" Anyone passing through North Shore, Illinois, would think it was the most picture-perfect place ever, with all the lakefront mansions and manicured hedges and iron gates. No one talks about the fact that the brilliant, talented kids in town have a terrible history of throwing themselves in front of commuter trains. 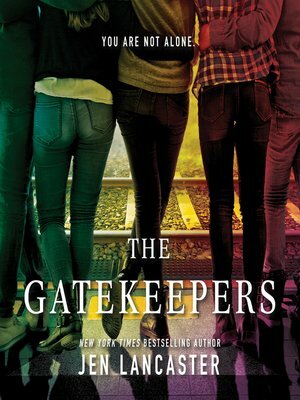 Meet Simone, the bohemian transfer student from London, who is thrust into the strange new reality of an American high school; Mallory, the hypercompetitive queen bee; and Stephen, the first-generation genius who struggles with crippling self-doubt. Each one is shocked when a popular classmate takes his own life...except not too shocked. It's happened before. With so many students facing their own demons, can they find a way to save each other—as well as themselves?